OXFORD, Miss. – Employees who operate their own businesses on the side often pick up valuable skills that they put to use at their primary jobs, according to a study conducted by three business professors and a former doctoral student at the University of Mississippi. The study concludes that having part-time entrepreneurs as employees benefits the company – a position often opposed by the corporate world and general public. “From our study, we discovered employees running side businesses learn a unique set of skills and abilities through entrepreneurial experiences,” said David Marshall, assistant professor of management at the University of Dayton and graduate of the UM School of Business Administration‘s doctoral program. 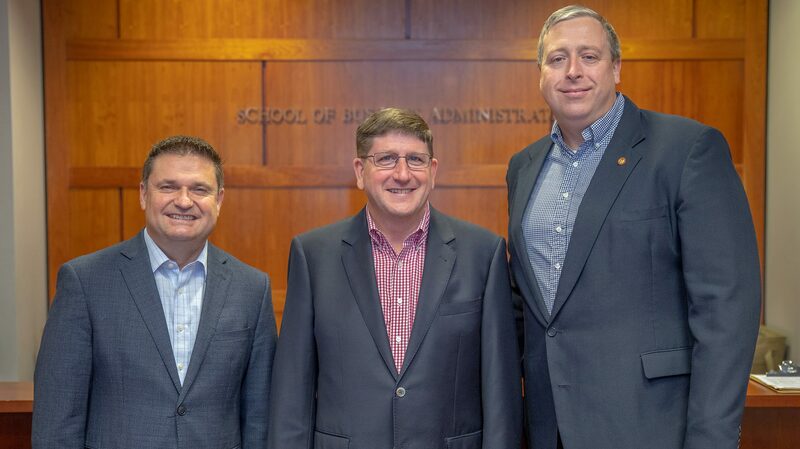 Marshall worked on the project with Walter Davis, Ole Miss associate professor of management; Tony Ammeter, associate provost and associate professor of management and MIS; and Clay Dibrell, executive director of the university’s Center for Innovation and Entrepreneurship. Their findings are detailed in “Learning off the Job: Examining Part-time Entrepreneurs as Innovative Employees,” which is being published this fall in the Journal of Management. The authors hypothesized that part-time entrepreneurship provides an opportunity for individuals to acquire knowledge and skills that make them more likely to engage in innovative behaviors. By analyzing a sample of 1,221 employee responses across 137 organizational units, they provided evidence to support their hypothesis: that employees who run side businesses exhibited greater innovative behaviors in their primary jobs than those who did not. “Our research found that some individuals – those who are higher in a trait called ‘learning orientation’ – are more likely to transfer new skills from their entrepreneurial ventures to their workplace,” Davis said. The professors found individuals who are higher in learning orientation understand that ability and mastering skills is something that can be improved through learning and experimentation. Given the part-time entrepreneur’s desire for learning, the subsequent trials and failures in pursuit of their entrepreneurial dream lead to the development of knowledge that individuals with a lower learning orientation will not have opportunities to develop. “Persons high in learning orientation seek to master new skills through learning and experimentation,” Davis said. “This is important, because innovation can be risky and often entails mistakes and failures. The authors stated that future research should explore additional ways in which part-time entrepreneurs contribute to their employing organizations. For example, a part-time entrepreneur may exhibit greater management and leadership abilities and be more willing to work outside his or her routine set of tasks to accomplish organizational goals, they said. The professors point out that leaders of organizations are interested in training their employees to be innovative, suggesting that such skills can be learned through entrepreneurial activities outside the workplace. The authors said they hope the findings continue to push scholars to consider the important interaction between participation in outside entrepreneurship and employment inside the firm. “We find entrepreneurs who are interested in having their own business and want to work with a larger company do best working for companies which focus on innovations,” Dibrell said. “For these same employers, we find some of their most outstanding employees often have side businesses.